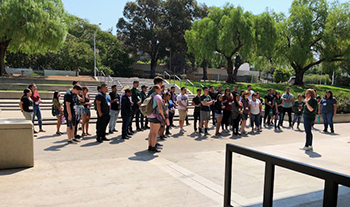 Transfer Bridge is a free of charge summer orientation program for newly admitted Educational Opportunity Program (EOP) transfer students. 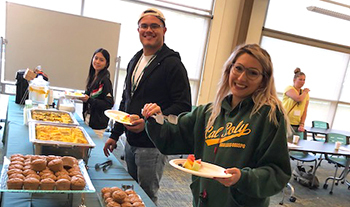 This program is designed to support newly admitted transfer students in transitioning from their community college to the university environment and academic life through workshops designed to prepare them for academic and personal success at Cal Poly. Increase student familiarity to campus resources equipping them for college success. Strengthen the campus climate and create a positive experience for students through engagement with faculty, peers, and staff. Provide comprehensive advising that focuses on curriculum and graduation requirements. Housing will be provided to those students who wish to stay overnight on campus. All meals for the program will be covered. On campus parking will be provided.